With the increasing number of cars in most urban areas, the traffic jams are kind of becoming the order of the day. The feeling of being caught in the midst of a traffic jam while you are running late for work and knowing that there is almost nothing you can do about it is frustrating. Every city has different rules that apply to cyclists, so research your local regulations before hitting the road on a regular commuting basis. Know when to stop, when to go, how to turn, how to overtake and how to interact with other road users. Knowing the rules is one thing and following them is another. Ensure after you know the rules you follow them and your cycling to work experience shall be trouble-free. Planning is key to success. Know the best cycling route to get you to work beforehand so as to avoid hitting dead ends getting lost in the traffic. USually it’s best to combine a mix of safe routes and short routes Shorter isn’t always better when you’re on a bike – you want to ensure you’re on roads that aren’t a danger. Most cities provide maps showing the routes for cycling and therefore one can make use of them. However, not all of them are up-to-date and therefore it is also vital not to only fully rely on a map, keep your eyes on the road and make use of your senses. In some cities, Google maps can provide good cycling suggestions, but that is not the case everywhere. Consult with your local bike advocacy organization, or your local bike shop for additional ideas. The last and most basic tip is to avoid heavy traffic. 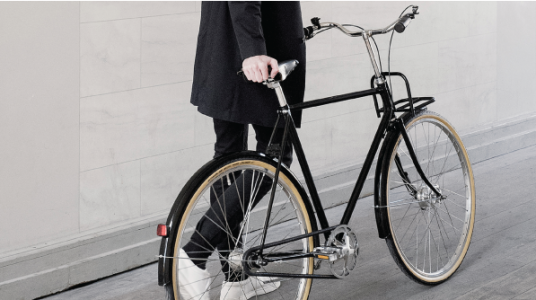 Yes, even with a comfortable city ride like a Copenhagen bike, heavy traffic is going to slow you down and also increase the risk of getting into accidents in case your road doesn’t have a special part set for cyclists. With those few tips, now you can try it out. You might even find that you get to work faster and in a better state of mind. Furthermore, you will cut your fuel costs by far and improve your health.